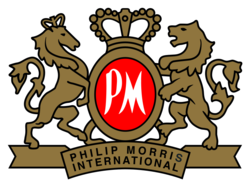 Philip Morris is an international tobacco company engaged in the manufacture and sale of cigarettes and other tobacco products. Top brands include Marlboro, L&M, Philip Morris, Bond Street, Chesterfield, Parliament, Lark, A Mild, Morven Gold and DJI Sam Soe. Philip Morris is a reliable earner with a consistently increasing dividend, even in the face of a global downturn of 2009 Philip Morris increased their dividend by a whopping 45%.